Specializing in handcrafted, unique, natural log furniture. 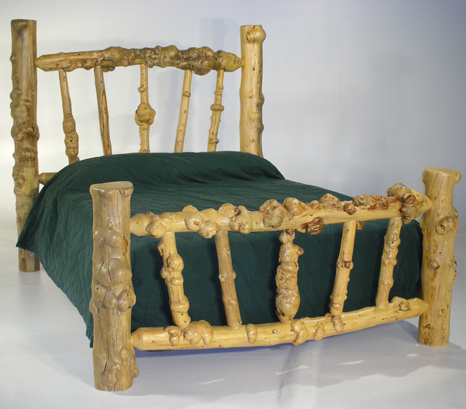 Bent Log Designs has been building unique, one of a kind log furniture beds, chairs, armoires, cabinets, stools, tables and other home furniture since 1982. Each distinctive piece is a naturally created work of art, handbuilt with pride and craftsmanship, by master builders, to last a lifetime. All wood is carefully selected, then transformed into a unique component for any decor. The Naturally Bent Style is our most popular line of log furniture. We incorporate bends and/or forks to create a one of a kind piece. 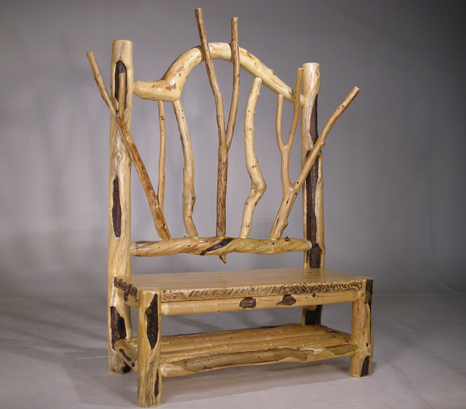 The Natural Style is our basic line of log furniture. It utilizes the natural beauty of each log with few bends or curves. The Exotic Style is our specialty. We use uniquely shaped logs and branches, transforming nature into exquisite works of art. Bent Log Designs offers a wide variety of products, from unique furniture to fireplace mantles and decorative logs, along with several different wood types. 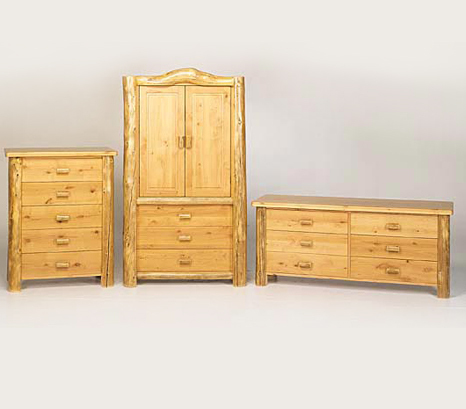 We specialize in customizing furniture to fit an individual's taste and needs. Our log furniture stands apart from the rest. Our goal is customer satisfaction.